Celebrate what you are most grateful for this thanksgiving with this DIY Thankful for Art Work! Burlap is huge right now! 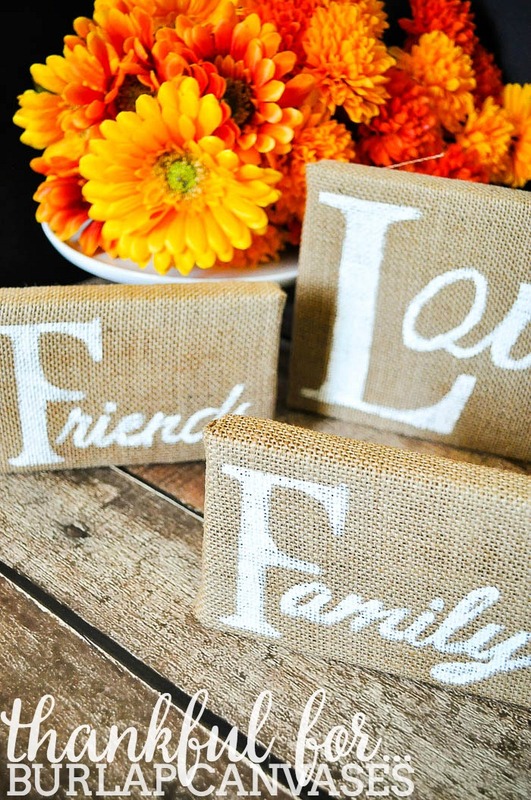 From banners to table runners to wreaths to rustic wedding details, burlap can be found anywhere. 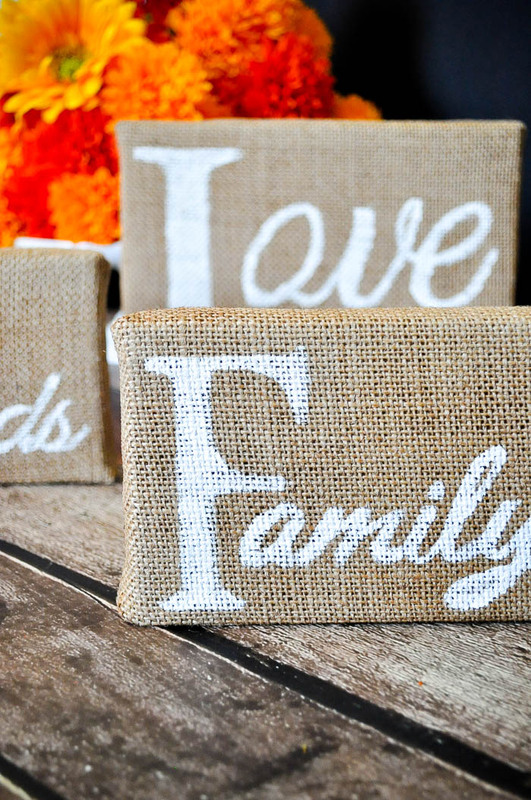 So, I was super excited when I saw these gorgeous burlap canvases from JoAnn. I had already planned on making a burlap banner that said THANKFUL, so the canvases seemed like a perfect pairing. 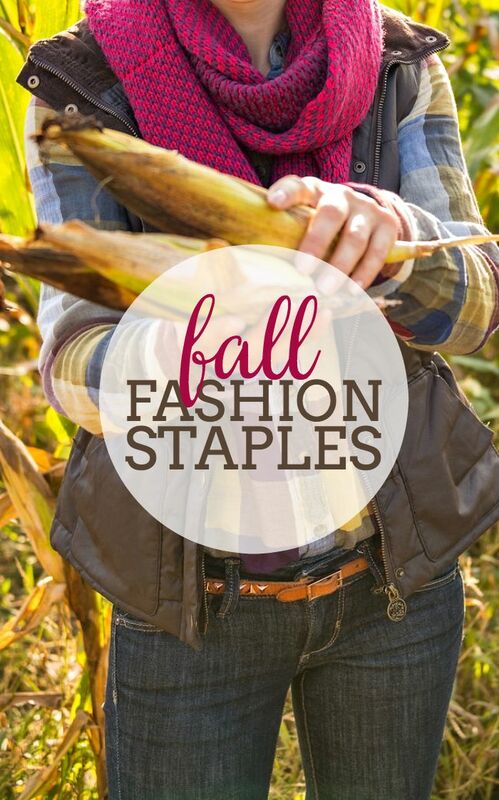 Plus, the rough texture and warm coloring works perfectly with most fall decor pieces. This has been a crazy year for us between all of the job changes, new homes to settled into, and my health issues – not to mention all the fabulous but never boring adjustments into marriage and shared bank accounts! 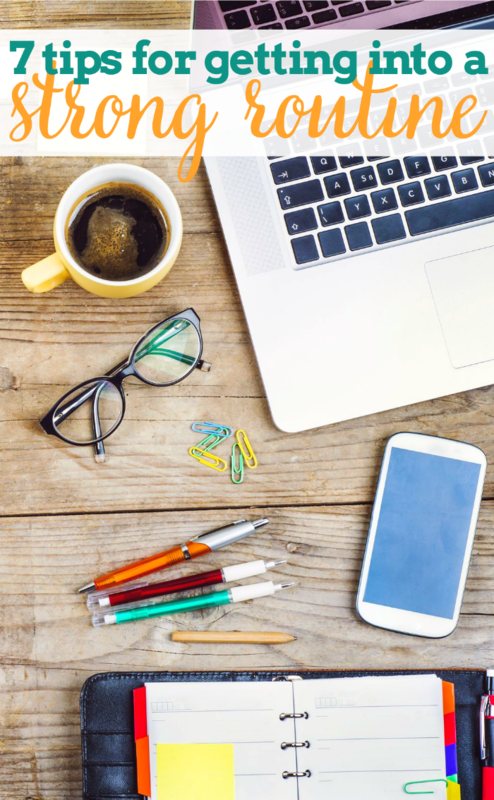 With stress and busy schedules, it can be so easy to stop focusing on the good things. 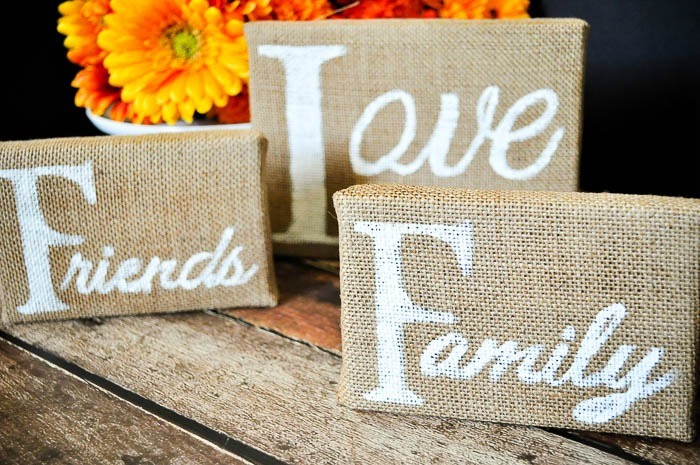 Therefore, I decided to make “Thankful for” burlap canvases that would be a small reminder everyday the wonderful blessings in our lives: love, family and friends. Stencil – I used vinyl to make a stencil but you could also use individual letters. 2. Using a sponge brush, apply a good layer of paint. I recommend the sponge brush because of the rough texture of the burlap; dabbing the paint will get you better coverage. 3. Let dry for at least 30 minutes and then remove the stencil. 4. Use a small brush for any needed touch ups and you are done! This project took me about 30 minutes to complete if you don’t count the paint drying. I love adding personal touches to holiday decor, so I was happy to display what we are thankful for every single day. 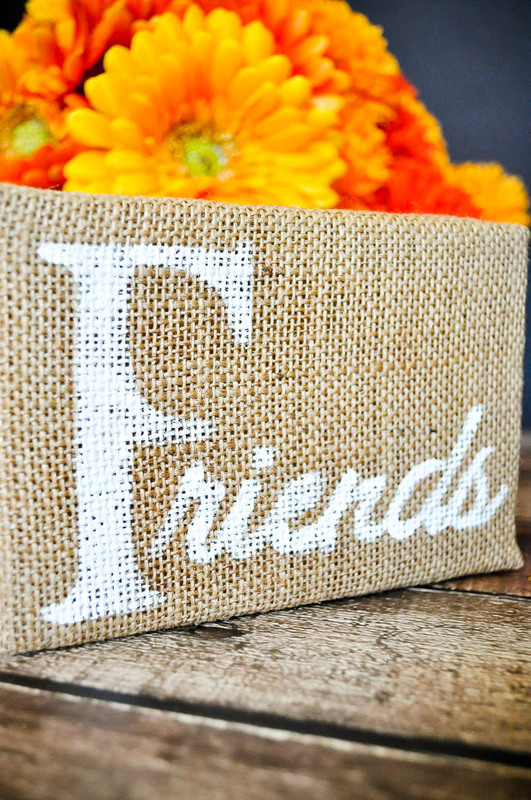 We also use burlap in our Christmas decor, so I am thinking I will be able to leave these “thankful for” burlap canvases out for the next holiday season too! 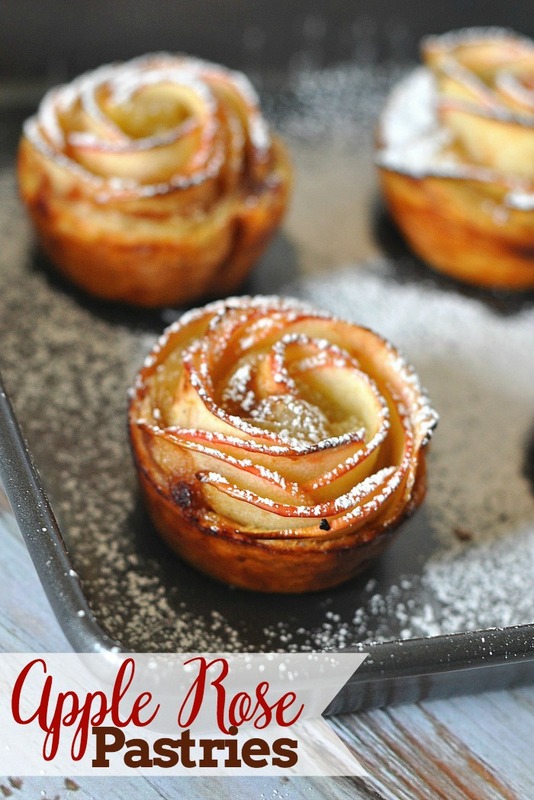 If you like this post, you might enjoy my other fall posts! I love the white painted on the burlap. So pretty and fun. Pinning!